Redondo Beach’s Fourth of July fireworks show will return to the harbor area in 2019. Photo by Ray Vidal. The Redondo Beach City Council has emphatically decided that it will err on the side of history and not repeat last year’s mistakes, asking staff to investigate holding its annual Independence Day fireworks display on July 4 once again in 2019. This time, however, the city will look into launching the fireworks from outside of the harbor breakwall to provide a better view from around the South Bay coastline. However, it’s unclear if the city will partner with the Riviera Village Association and the South Bay Fireworks Committee on the display. Representatives from both organizations were in attendance at Tuesday night’s meeting, which also explored the possibility of moving the display off of the Esplanade in South Redondo, between Avenue H and Knob Hill Road. According to a fiscal analysis, a public-private partnership between the city and SBFC/RVA would cost $66,000; the city’s own fireworks program at Seaside Lagoon would cost $78,000. Councilman Nils Nehrenheim championed moving the show to South Redondo, saying that his constituents in District 1 offered major support. But Council members Todd Loewenstein, Christian Horvath, and John Gran all said their constituents overwhelmingly opposed moving the show further south. 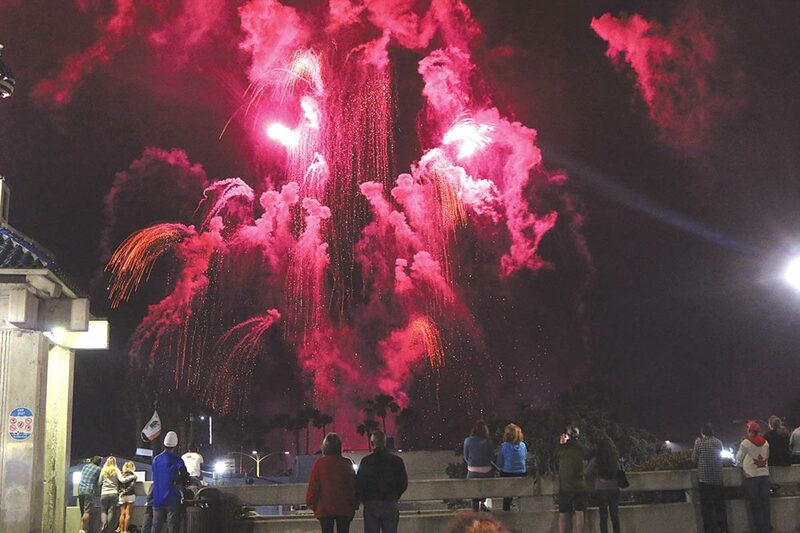 The South Bay Fireworks Committee, headed by Rick Bender, has spent more than a year working to become the spiritual successor to the annual fireworks display run by the Briles family. Since 2000, Jackie Briles organized a fireworks display off of Torrance’s RAT Beach in honor of her late husband, Paul. The Briles family continued the tradition for one final year following Jackie’s 2016 death. Last year, Bender fought to hold a similar fireworks display, but was unable to get support from either Torrance (which has set up its own show at its Civic Center) or Redondo Beach. Redondo Beach committed to a July 1 show so its police officers and firefighters would not have to pull double-duty, managing the city’s Fourth of July 5K run as well as security for the fireworks show on the same day. But the July 1 fireworks were stridently unpopular among residents, prompting Mayor Bill Brand to promise the city would never again try that date. Representatives from the Portofino Inn and Shade Hotel said that the July 1 fireworks show adversely impacted their businesses, and that the city’s commitment to bringing back the Fourth of July show has been a boon. “I’ve been speaking with local restaurants, and the feedback from them has been a bit different: They saw a lot of business on July 4 fireworks — with no fireworks, it was empty,” said Rebecca Elder, from Portofino. “What I want to see in the harbor, since it’s so important to everyone, is more buy-in and love to see them partnering up and creating a larger, better event in the future,” Nerhenheim said. But similar buy-in from RVA and Bender’s SBFC is unclear, saying his mission was to replicate what the Briles family had done, “delivering the same type of show in the same location. “If it’s moving significantly further north…I can’t commit their donations without going back and checking with them,” Bender said. 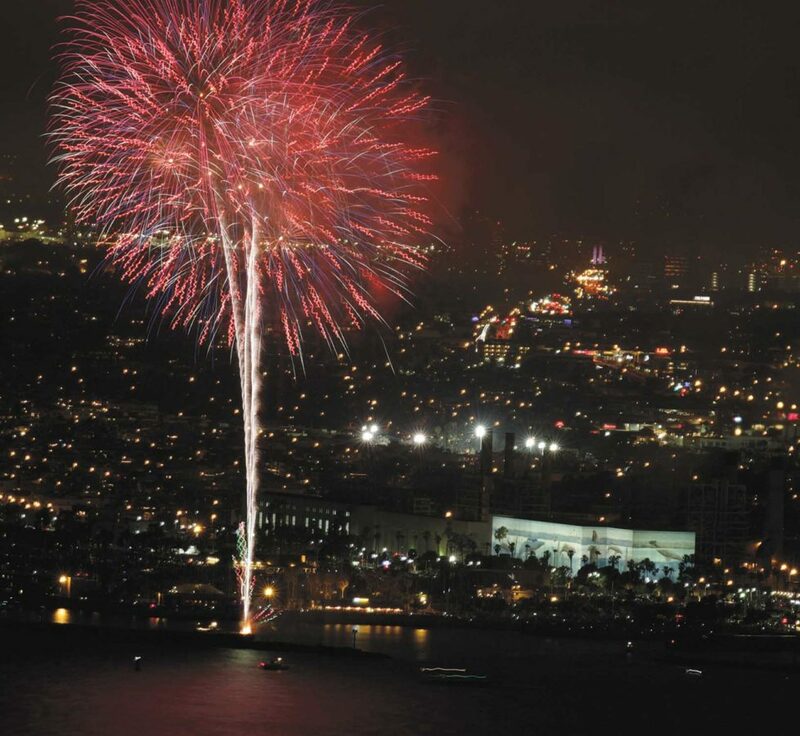 Riviera Village Association President Jeff Ginsburg agreed that moving the fireworks outside the harbor could produce a bigger show that could be seen from Riviera Village. “I’m only one out of 11 [seats on the board], so I’ll have to talk to them…they want to have a successful Fourth of July,” Ginsburg said of the RVA board.